Konami pokie games will soon be available in Europe thanks to a new content deal through Nektan. Nektan have partnered with Spin Games, based in Reno Nevada to provide their pokies to an online audience. Spin Games mostly focuses on land based casino games but they have offered select pokies in an online format. They make use of a Remote Gaming server to supply games to local players as part of the US’s limited legal online gambling laws. They also work with other companies like Grand Vision, Everi Gaming and Incredible Technologies. Konami however, has recently been the partner that has been making the most waves. In October the company received the Best Pokie Product awards at the Annual Global Gaming Business Awards. This was thanks to their Beat Square slot game which is an innovative new skill based gambling game. Konami have used their experience creating arcade and video games to create this innovative new approach to pokies. Players must complete various actions in a rhythm-based game which is incredibly engaging and challenging. It also includes a tournament mode where multiple players can play. In fact, Konami has applied this unique skill based approach to a whole host of their land based casino games with titles like Into the Dead, Catapult King and Lucky Words being big hits in Vegas so far. Even though they take quite a different approach to pokie gaming, they still are fun to play and feel like a gaming machine. Konami has not really played a huge role in online casinos, but that could be about to change if the deal with Spin Games results in a lot of success for the company. Spin Games will get access to the European Market through this deal with Nyx, where Konami definitely has a following thanks to their immense success in the video game industry. With their titles like Contra and Castlevania still popular amongst modern gamers, they would have a lot of brand recognition in this new market. Konami could easily bring these skill-based pokies to the online casino market. 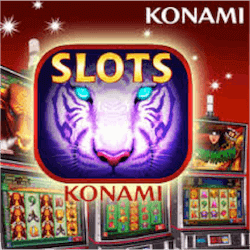 With the growth of mobile gaming, it gives Konami a great platform to release these innovative pokies on. The touch screen controls of mobile devices would work perfect in a rhythm based mini-game or even an action game. Hopefully this deal will help Konami see the potential in expanding their operation to also include more online titles instead of the current land based casino exclusive trend.